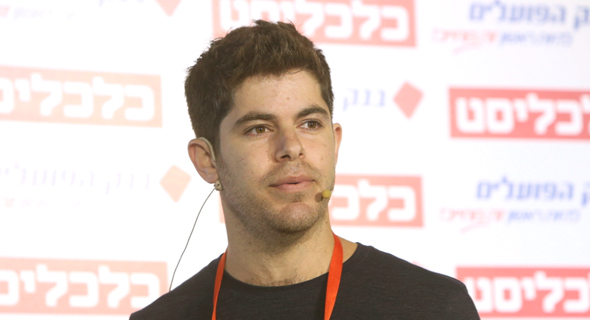 Small online retailers cannot compete with Amazon’s prices, so they have to offer the customer a different experience that would give them a reason to forgo the comfort of buying on Amazon, said Tomer Tagrin, co-founder and CEO of Marketing startup Yotpo Ltd. Tagrin spoke Thursday at Calcalist’s Mind the Tech conference in New York. According to Tagrin, one of the biggest challenges faced by companies today is customer retention, which is becoming harder and more expensive. Yotpo’s service allows brands and online retailers to manage and respond to different types of user-generated online content related to their products and services, including product reviews. The service also allows brands to manage consumer incentives programs. Originally founded in 2011 in Tel Aviv, Yotpo is now headquartered in New York with additional offices in Utah and London and employs around 300 people. Amazon takes care of buying and selling very well, but has killed the shopping experience, Tagrin said, and Yotpo is trying to help brands rebuild it through the verticalization of products, expansion to offline stores to complement the online buying experience, and the use of data science to analyze the market.